Sport BC proudly announced the athletes, coaches and officials who were the successful recipients of the 2015 Athlete of the Year Awards, hosted in Vancouver on March 12th. 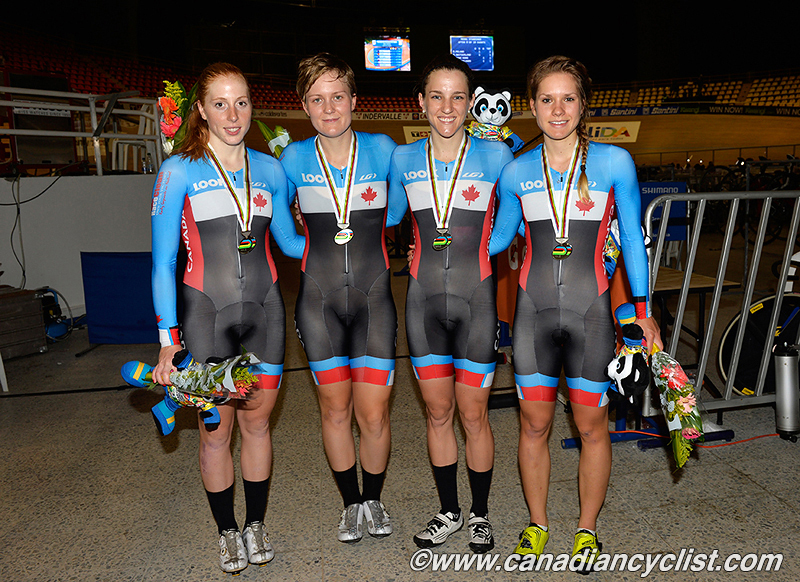 The Canadian Team Pursuit team, consisting of BC athletes Laura Brown, Jasmin Glaesser, and Stephanie Roorda, along with Allison Beveridge, was announced as 2014's Team of Year. The award recipients represented 13 different sports with individuals and team members representing 20 communities within British Columbia. "On behalf of Coralee Oakes, Minister of Community, Sport and Cultural Development, it is my honour to congratulate the Athlete of the Year Award nominees and recipients. You are all champions, role models and ambassadors, paving the way for the next generation of BC athletes. Thank you for your significant contributions to our sport sector," said Burnaby North MLA Richard T. Lee. 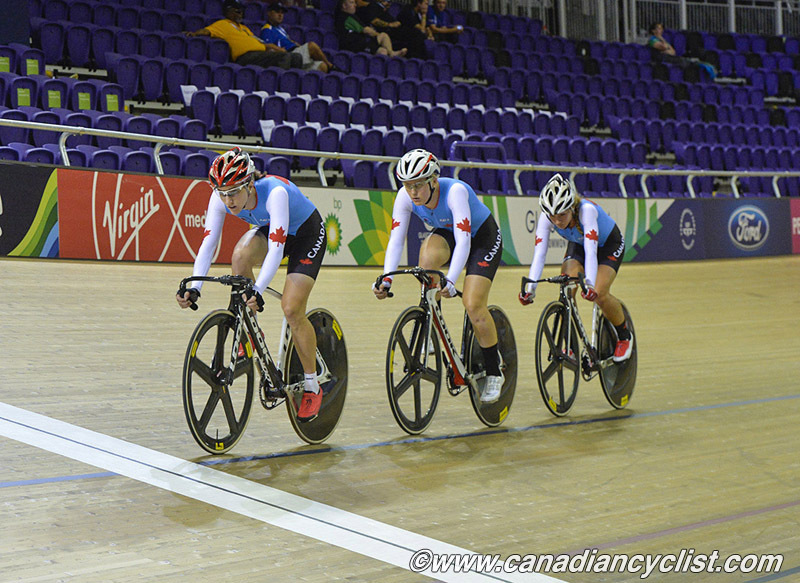 The Canadian Team Pursuit team won silver in the Track World Championships in 2014, and finished on the podium at every 2013-14 Track World Cup race. The team is ranked second in the world, and Beveridge, Glaesser, and Roorda, with Kirsti Lay, recently won bronze at the 2015 UCI Track Cycling World Championships in the Women's Team Pursuit. Also honoured at the 2015 Athlete of the Year Awards were cyclists Maggie Coles-Lyster, Tory Nyhaug, and Alex Tougas, all finalists for their respective Athlete of the Year categories.